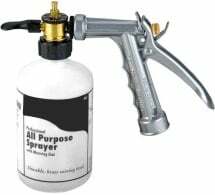 Powerful and durable… it’s a favorite! 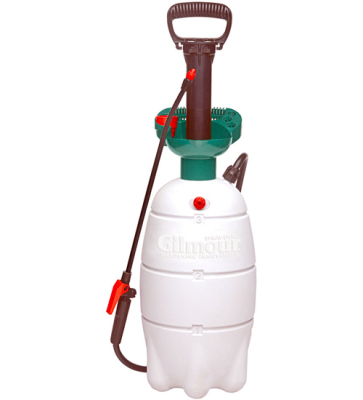 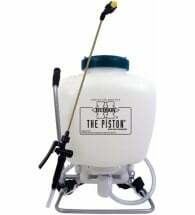 The Gilmour Back Saver Sprayer uses a polyethylene tank that features fluid level indicators and a funnel top (with built-in measuring cup) for easy filling. 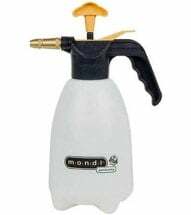 The 36″ flexible hose and 15″ wand, with adjustable spray nozzle, provide plenty of reach. 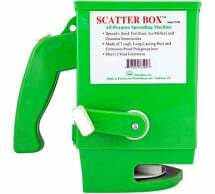 Also includes: easy-to-use thumb control with lock-on button and convenient carry handles with built-in wand storage clip.